The next Bay Area Book Festival is scheduled for April 28-29, 2018, filled with exciting events and booths from 10 a.m. to 6 p.m. I am a book exhibitor with over 300 authors! Set in downtown Berkeley’s Civic Center Park and brimming with progressive thinkers, this event offers the perfect venue to promote my book and author platform. As my debut novel aims to reflect a pro-peace message with each character making choices to benefit humanity, I feel it will suit the panels and people present. Even the prompt for the Young Authors Writing Contest, Perceptions: Everyone sees the world from different eyes, seems to fit my narrative. Needless to say, I am very excited to be a part of this lively literary event. 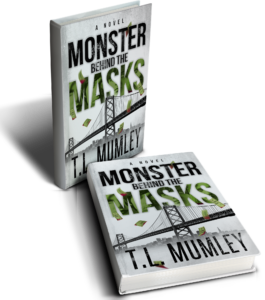 I will also be pre-marketing the sequel, Monster Behind The Masks, at this event with book cover design posters and information on where to pre-order copies. The sequel is slated for release this summer. Please consider stopping by my booth! I’ll be sharing the table with another local author. Apart from the positive energy for creating social change, the Bay Area Book Fest is full of indoor events, kids activities, writing contests, dancing, food and spirits. And of course, books, books and more books!